Last week, PokerNews reported that online poker legend Chris "moorman1" Moorman was less than $100,000 away from achieving the unprecedented goal of $10 million in lifetime online tournament earnings. One week later, Moorman has chipped away at the milestone even more and now sits less then $30,000 away from this amazing accomplishment. According to PocketFives.com on Wednesday morning, Moorman's lifetime total cashes are $9,971,343, or just $28,657 short of the eight-figure mark he is striving towards. Moorman added several more cashes on Monday and Tuesday this week, including four four-figure scores. On Monday, Moorman took third in the $320 NL Hold'em [6-Max], $20K Gtd on PokerStars for $8,352 — his largest cash over the last two days. He also won $1,490 in the The Hot €50 [Turbo], €10,000 Gtd on PokerStars. On Tuesday, Moorman won the $54 NL Hold'em [Turbo, Knockout], $16K Gtd for $5,970 on PokerStars before going on to finish third in the Winamax XPERT event for $2,898. With the PokerStars World Championship of Online Poker (WCOOP) in its final week of play, Moorman has plenty of big events to play, which could really help him reach this milestone much sooner than later. 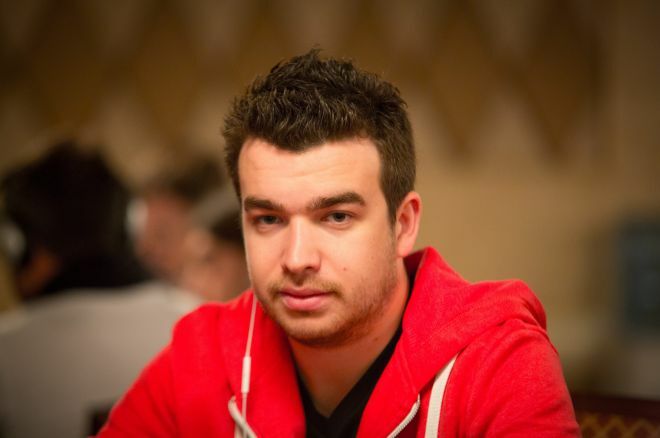 "Obviously I would love to reach the $10 million [mark] in style by winning a WCOOP," Moorman told PokerNews on Monday. "Hopefully I can break the barrier by the end of the series. With so many big tournaments still to come in the last week I think there is a good possibility I can get it done soon." Extending beyond reaching the $10 million goal, Moorman believes he still has a lot to achieve in poker. One of the things he'd like to do before the end of the year is make it back to the top of online poker's premier ranking system. "I want to make it back to being the No. 1 ranked player on PocketFives again before the end of the year," mentioned Moorman. "Along with picking up some big titles along the way." Want to play with a legend like Moorman in the online realm? Head over to the PokerNews Online Poker Rooms section and get in on the action today!